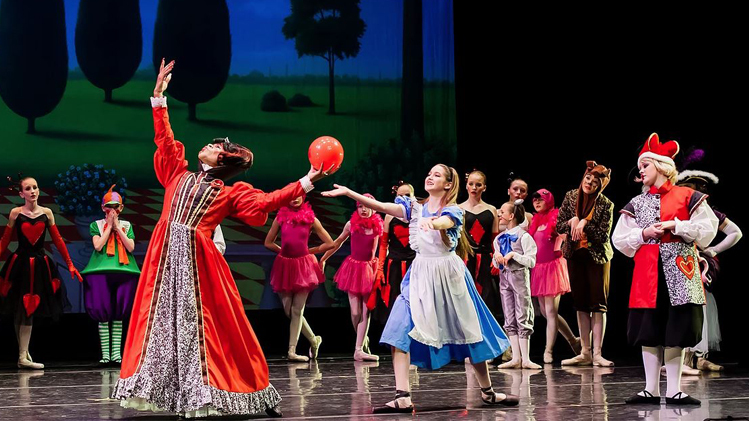 Alice in Wonderland is an original ballet featuring 65 young pre-professional dancers from the Denver metro area. Performances are presented with beautiful backdrops, full sets, and costumes. Follow Alice down the Rabbit Hole as she encounters such characters as the White Rabbit, the Mad Hatter, the Cheshire Cat, and the Queen of Hearts. This production is family friendly and is the perfect way to introduce your children to the ballet. Littleton Youth Ballet is a performing ballet company comprised of 105 young dancers between the ages of 8 to 18. Our mission is to maintain a first-rate non-profit youth company of dancers, enriching their lives and those of their families, schools, communities, and beyond. We also aim to provide a caring and respectful environment that offers each dancer quality performance experience to enable them to reach their fullest potential, not only as dancers, but in all areas of life. We strive to encourage and promote dance with dynamic, full-length productions and diverse outreach programs throughout the Denver area.